VeriPac systems can be easily integrated into the packaging process to improve quality, reduce waste, and provide operators with a clear understanding of package quality. VeriPac test systems are non-destructive, non-subjective and require no sample preparation. Test fixtures are designed to inspect flexible and rigid packaging. Tests can be performed in any sequence and even repeatedly on a single sample. VeriPac’s inspection method is more reliable, cost effective and efficient than destructive methods, plus it eliminates subjective, misleading results that vary from operator to operator. VeriPac inspection systems utilize an ASTM approved vacuum decay leak test method F2338 recognized by the FDA as a consensus standard for package integrity testing. This ASTM method was developed using VeriPac leak test instruments and has proven its capabilities under GMP regulatory guidelines. Applications for VeriPac technology include stability studies, clinical trials, quality assurance testing and production statistical process control (SPC). VeriPac testers feature a patented single or dual vacuum transducer technology, PERMA-Vac, that has increased test sensitivity resulting in very consistent, reliable results. 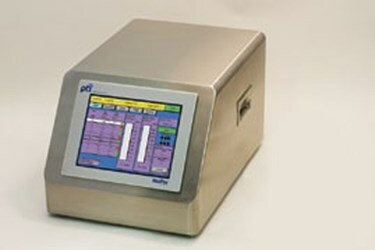 The VeriPac 400 Series also features a secondary Altitude Test Mode in accordance with ASTM Test Method D6653-13. Switching from vacuum decay mode to altitude mode in a matter of seconds. VeriPac systems can identify burst seals, leaks, and other integrity defects generated from altitude related package stress during the test, identifying the exact time and pressure of a package failure.